Home / Editor's Choice, Entertainment News, Featured Articles, Gossip and Drama, News, Politics, Videos / If you think Nairobi “Kanjus” are brutal, you need to see what Tanzanian city askaris do to hawkers, Oh God!!! (VIDEO). If you think Nairobi “Kanjus” are brutal, you need to see what Tanzanian city askaris do to hawkers, Oh God!!! (VIDEO). Sunday, September 2, 2018 - Nairobi city askaris popularly known as Kanjus, are notorious for their brutality. They beat up hawkers like animals during their frequent swoops. In neighbouring Tanzania, the city askaris are even worse. They have no heart at all and operate with a lot of impunity. 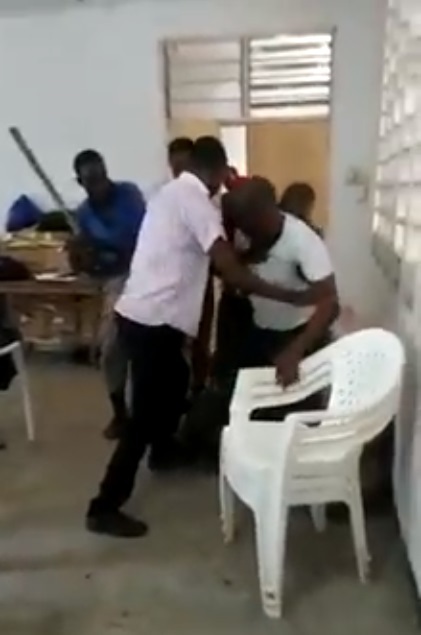 Check out this video of Tanzanian city askaris beating up hawkers like stray dogs after they arrested them.